Canada Work Visa - Work in Canada - Canada Immigration and Visa Information. Canadian Immigration Services and Free Online Evaluation. Canada work visas are issued under the Temporary Foreign Worker Program (TFWP) by Immigration, Refugees and Citizenship Canada (IRCC). The TFWP is intended to help Canadian employers recruit foreign workers in response to labour market shortages. TFWP is made up of four streams: high-skilled workers, low-skilled workers, the Seasonal Agricultural Worker Program, and the Live-In Caregiver Program. IRCC works with Employment and Social Development Canada (ESDC) to ensure foreign workers do not take jobs for which Canadian citizens or permanent residents are available. Canadian employers intending to hire a foreign worker must obtain prior approval. This is done by applying for a Labour Market Impact Assessment (LMIA). 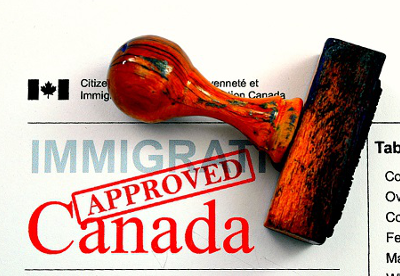 Immigration.ca, in conjunction with our in-house recruitment enterprise SkilledWorker, frequently helps employers and job seekers in the recruitment process and in securing favourable LMIAs and applying for Canada work permits and related Canada visas. Candidates who have a job offer in Canada and are ready to apply for a work permit should complete the following questionnaire for a free assessment. A TFWP Canada work permit holder’s family may come with them to Canada. All family members must complete their own application forms, but they can be submitted together. If a family member wants to work in Canada, they will need their own Canada work permit. In certain cases, spouses or common-law partners are eligible for an open work permit. If a temporary foreign worker’s children would like to study in Canada, they need a study permit. An open work permit allows the holder to work in any job with any employer with limited exceptions. An open work permit also means the holder’s employer does not need an LMIA. A spouse’s eligibility for an open work permit depends on the skill level of the temporary foreign worker’s job. A high-skilled foreign worker’s spouse could be eligible for an open work permit, provided the foreign worker is authorized to work in Canada for at least six months. A low-skilled worker’s spouse will only be eligible for an open work permit through an active pilot project. Dependent children are only eligible for an open work permit through an active pilot project. For information on work permit conditions, validity and duration, click here. Canadian employers wishing to hire a temporary foreign worker, or candidates who have been offered a job by a Canadian employer should complete our Free Online Evaluation for an assessment of your needs.